Well, well, well, what do we have here? 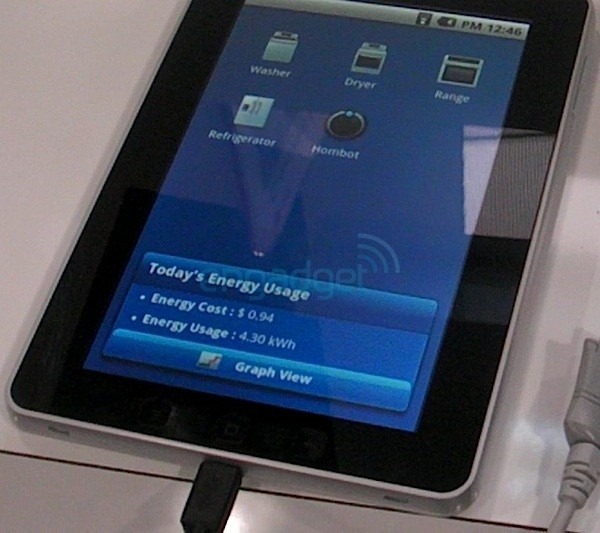 The device Engadget found in LG's CES booth (see the thumbnail above and the video at the source link) could very well be the long-rumored Optimus Pad. The 8.9-inch device, which is said to be powered by a Tegra 2 dual-core processor, is something I have been lusting after for a while now. 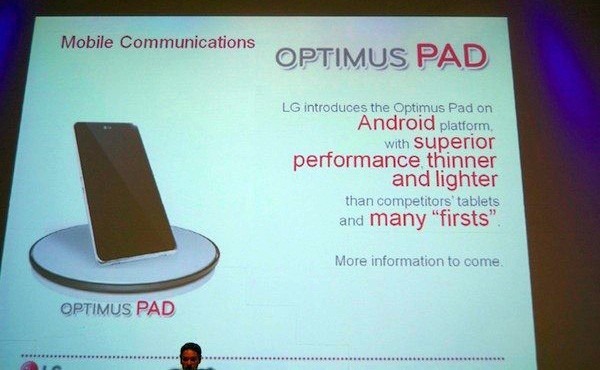 While we can't be sure that the device in the thumbnail is the Optimus Pad, it sure looks a lot like the render below. Obviously, at this point, we have no way to confirm the exact specs, so all we can do is speculate - hopefully, LG will clear this up at CES. This is going to be one exciting week!